You approach the Acropolis by way of the Propyleaea. 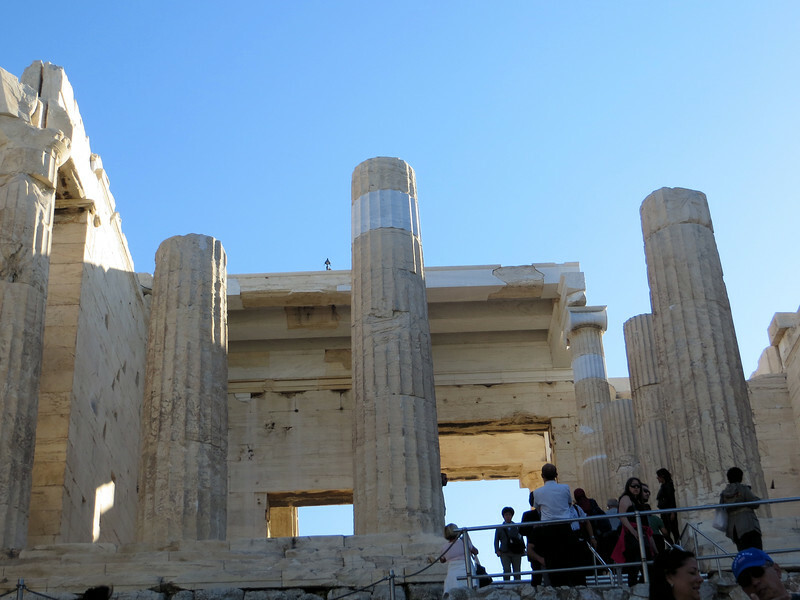 Designed to make an impression on the visitor, it was constructed shortly after the Parthenon was completed. There was a large central hallway, with six Doric columns, and large side wings. The central building looked like a "mini-Parthenon." It was all originally painted in bright colors.